This beautiful pilaf is the second recipe from Modern Flavours of Arabia that I chose to cook as part of my cookbook review. While burghul is familiar to me, and I think most people, especially those who are fans of tabbouleh, freekeh is a grain I had yet to try. A couple of months ago I spotted some at one of my favourite grocers and grabbed a box knowing I wanted to try it, but it was soon relegated to the back of the pantry. However as soon as I saw the recipe for Burghul and Freekah Pilaf I remembered the forgotten box of freekeh. Freekeh, pronounced free-ka, dates back to 2,300 BC when a city in the Mediterranean prepared their city for to be under siege. In preparation, and knowing they would be unable to tend to their fields, they picked the green heads of their wheat crops and stored them to fight off starvation. Unfortunately the wheat store caught fire, but after the fire was put out it was discovered that if they rubbed the heads of the charred wheat the green grains underneath were remained, which they called ‘freekeh’, meaning ‘the rubbed one’. 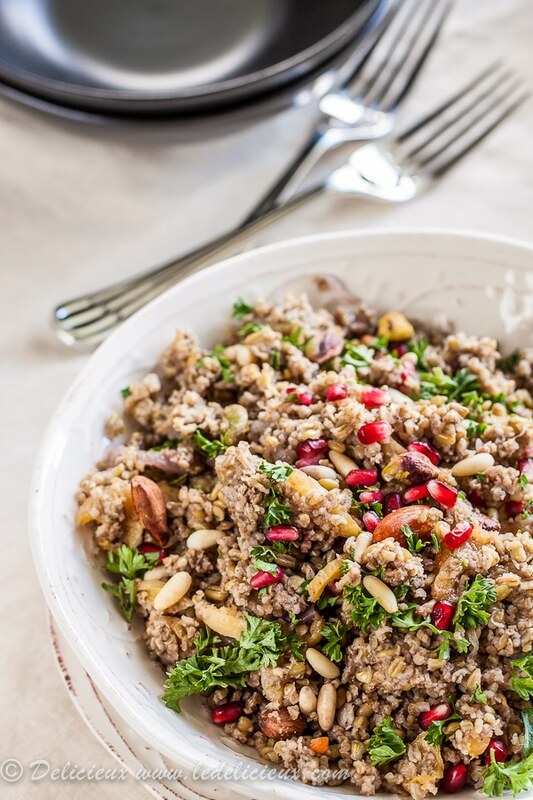 Ever since Freekeh has been enjoyed as a delicious and nutritious grain. It is low GI, low carb, high in fibre (it has up to four times more fibre than brown rice) and is low in fat. 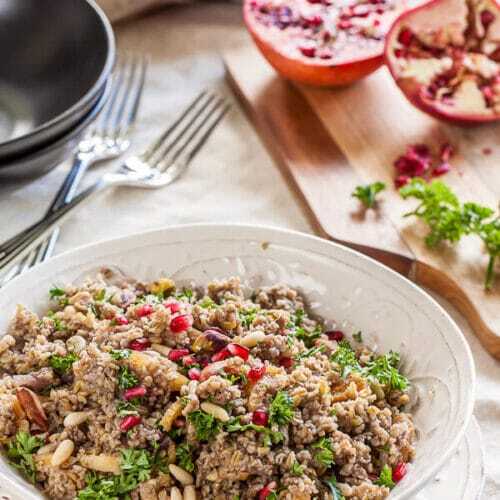 Interestingly Freekeh refers to the process of roasting grains and not a particular variety of grain, and producers have been experimenting with making freekeh from a variety of different grains including barley. Another benefit of Freekeh, apart from being delicious and nutritious is that it is extremely easy to cook and is even more forgiving than rice, and just like rice it quickly increases in volume, making it economical too. Simply add 1 cup of cracked Freekeh to 2 and a half cups of water and boil on the stove for 15 minutes and it’s ready. Making this pilaf is just as easy. I have to admit though that while I was keen to try this recipe, I wasn’t completely sure whether I would like it given the combination of fruits and nuts, but it was delicious, and I found it was even better the next day, once the flavours had a chance to develop further. Serve this pilaf as a side dish, or a delicious healthy lunch. If you are interested in trying Freekeh, or Burghul for that matter, and looking for recipes, don’t forget to enter my Modern Flavours of Arabia give away where you can win a copy of this beautiful book. So tell me, have you tried Freekeh before? Serves 6 to 8. Note I adapted the recipe slightly and replaced the chicken stock with vegetable stock. I also didn't have any dried pomegranate seeds so added fresh pomegranate seeds as garnish. Rinse the freekeh and burghul and set aside to drain in a fine sieve. 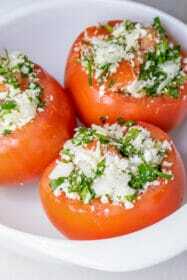 Place a medium pot over a medium heat and add the olive oil and onion and saute until soft. Add the burghul and freekeh and toss to coat in the oil before adding the stock. Follow with the orange zest and juice, allspice, apricots, salt and pepper. Bring the mixture to the boil and reduce to a simmer and add half the pine nuts, almonds and pistachios. Cover, and cook for 15 minutes. Remove from the pot and place on a platter or in a large bowl and garnish with the fresh pomegranate seeds and parsley and remaining nuts. The brand I find in Sydney is the one from Jordan, I’m used to spreading it on a white plate and picking out little black stones (not surprising that they happen, given the traditional burn off means of production) I gave up long ago on checking lentils for stones as many recipes as it was unnecessary, I guess it still applies to freekeh. Worth the trouble. So if dried pomegranate seeds are available (local Indian grocer) would they be preferable? Also fresh pomegranates aren’t always available here. Thanks for your comment Ross 🙂 To be honest, I haven’t used dried pomegranate seeds so I can’t say how they would work, but if you use them I’d love to know for future reference. As for your question about stones in freekeh I’ve been using Greenwheat Freekeh (here’s there website http://www.greenwheatfreekeh.com.au/) and have been quite lucky to not find many stones. I just sift through the freekeh with my fingers and pick out any stones. I have tried freekah (not at home, at a restaurant). This pilaf looks delicious! So pretty too. 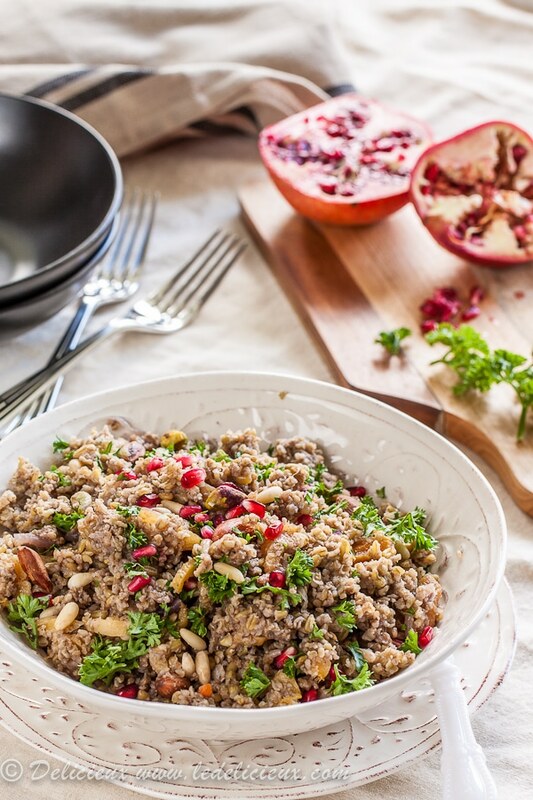 I’m on the hunt for more great freekeh recipes, and this pilaf looks just fantastic! 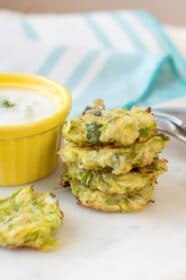 So simple, so flavorful! Gorgeous photos, too! 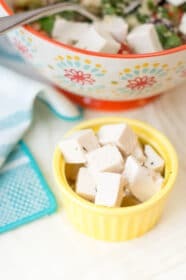 What a great find (both this recipe, AND your blog! 😀 )! Pinning ASAP! Hi, I’m Sonia, italian food blogger sorry for my bad english, I want tell you that I have included the link of this recipe (which I liked very much) in the section on my blog dedicated to “10 ways to make” (“10 Modi di Fare”) pilaf. 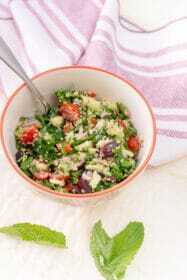 I’ve never tried freekeh but this pilaf looks beautiful. 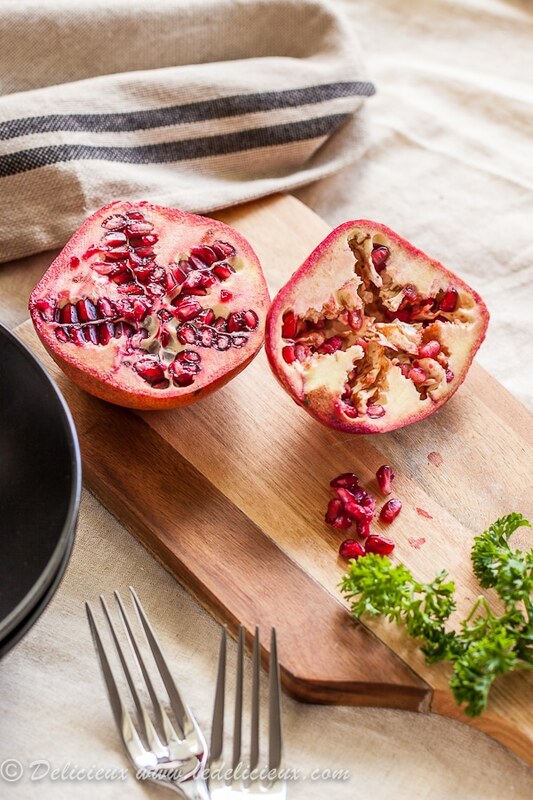 I love allspice with orange, and I love pomegranates! demystifying the grain. 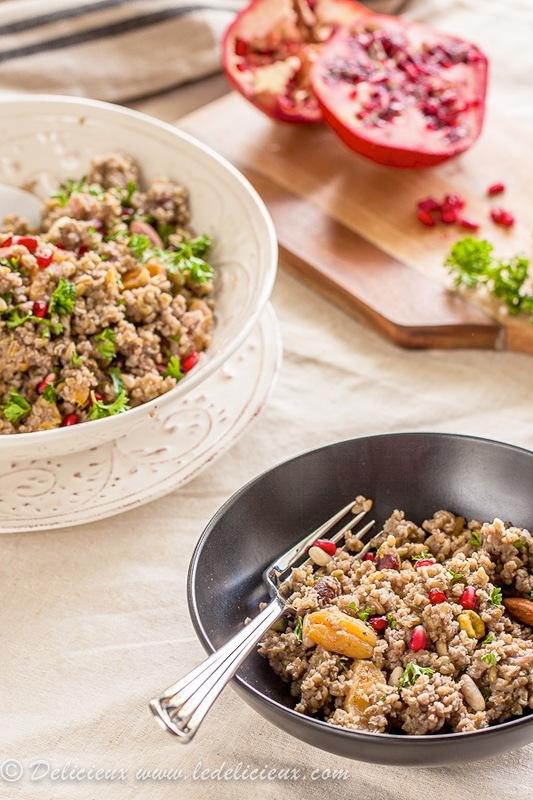 The pilaf sounds delightful, especially with all the tempting fruit and nuts! this is something i need to bookmark to try one day! Looks interesting. I have never heard of Freekeh before. Looks great though! I don’t think i’ve ever had Freekeh Pilaf before very interesting 🙂 but I’ve heard that Arabic food can be so healthy ~ I really should try! Thanks for sharing and the opportunity to win the book! I love to roast quinoa so I think I would love this. Never heard of freekah and always enjoy learning about the history of food. It looks beautiful and I love the addition of the fruit and nuts. I just discovered freekeh last year and I’m afraid I haven’t had it since. Perhaps I need to give it another chance. A delicious looking dish! I love the ingredients used. Middle Eastern fois so good. This is fascinating, I’ve never had freekeh before and would love to give it a try. That book sounds wonderful. Thanks for the little bit of history! I’ve never heard of Freekeh let alone tasted it. I’ll keep and eye out for it next time I’m at the fancy food shop. The pilaf looks gorgeous! Thanks Claire 😀 It’s definitely worth tracking down. In fact I’ve even seen it at Coles.